The default plot method for dataframes in R is to show each numeric variable in a pair-wise scatter plot. I find this to be a really useful first look at a dataset, both to see correlations and joint distributions between variables, but also to quickly diagnose potential strangeness like bands of repeating values or outliers. From what I can tell, there are no builtins in the python data ecosystem (numpy, pandas, matplotlib) for this so I coded up a function to emulate the R behaviour. You can get it in this gist (feedback welcomed). 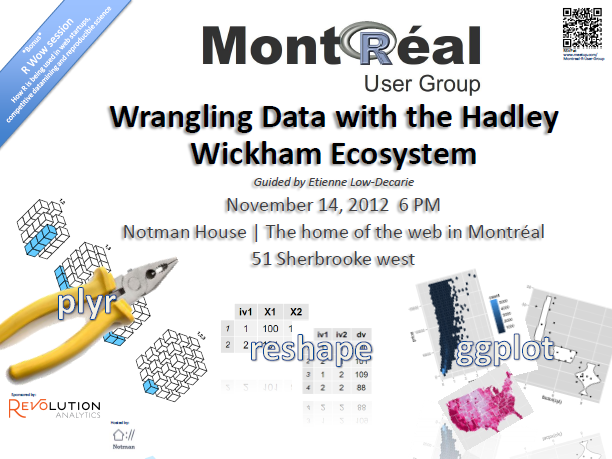 After a bit of a summer lull, the Montreal R User Group is meeting up again! We’re trying out a new venue this time. Notman House is the home of the web in Montreal. They hold hackathons and other tech user group meetups, and they are all around great people in an all around great space in downtown Montreal. Our meetup will feature R super-user Etienne Low-Decarie, who will give a walk through of some of the most powerful packages in R, many of which were built by rstats rock star Hadley Wickham. I will also kick off the meetup with a short session on how R is revolutionizing data science in academia, journalism, business and beyond. November 14th, 7pm at 51 Sherbrooke W.
Don’t forget to RSVP. Hope to see you there! Some people like to do crossword puzzles. 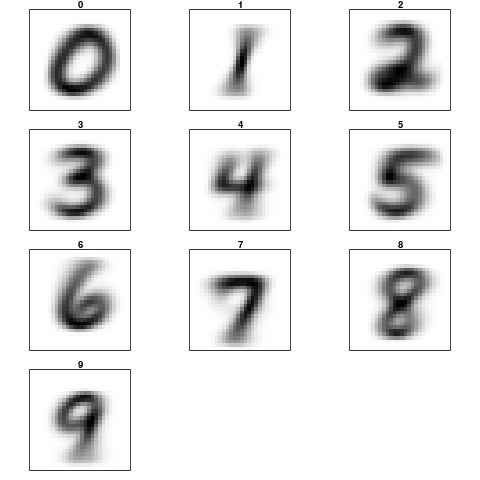 I like to do machine learning puzzles. Lucky for me, a new contest was just posted yesterday on Kaggle. So naturally, my lazy Saturday was spent getting elbow deep into the data. The training set consists of a series of ‘skies’, each containing a bunch of galaxies. 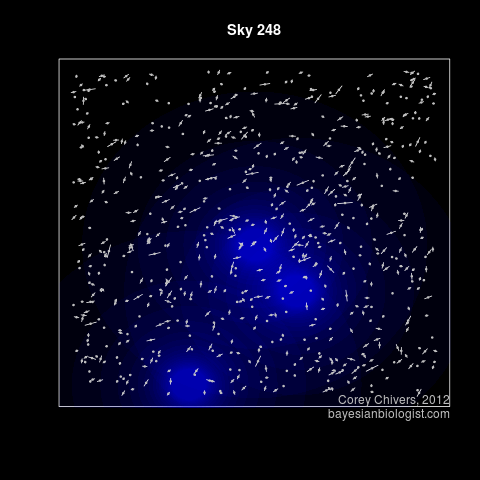 Normally, these galaxies would exhibit random ellipticity. That is, if it weren’t for all that dark matter out there! The dark matter, while itself invisible (it is dark after all), tends to aggregate and do some pretty funky stuff. These aggregations of dark matter produce massive halos which bend the heck out of spacetime itself! The result is that any galaxies behind these halos (from our perspective here on earth) appear contorted around the halo. 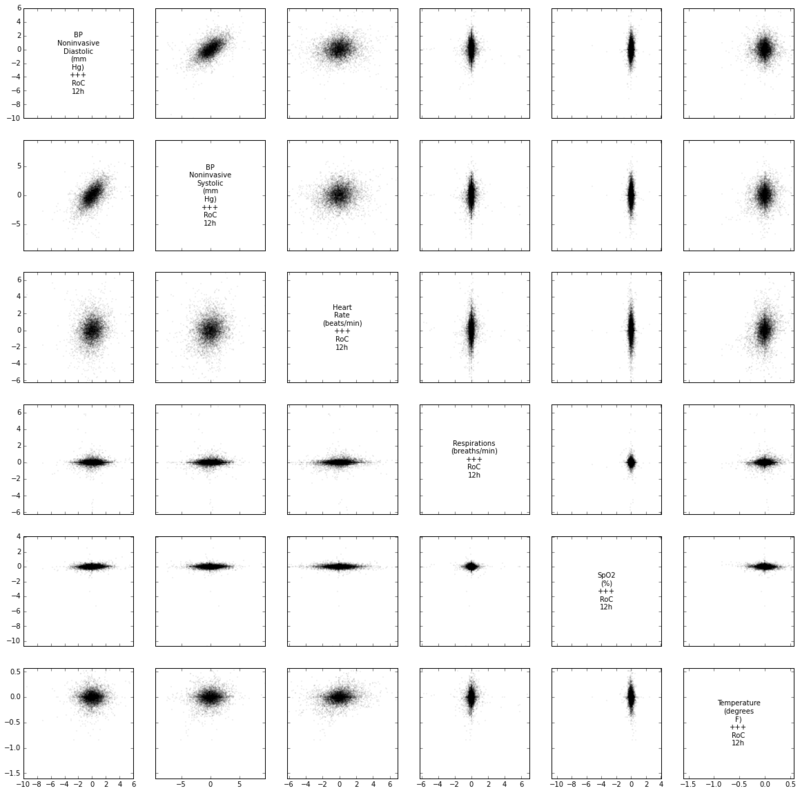 The tricky bit is to distinguish between the background noise in the ellipticity of galaxies, and the regular effect of the dark matter halos. How hard could it be? Step one, as always, is to have a look at what you’re working with using some visualization. An example of the training data. This sky has 3 dark matter halos. I f you squint, you can kind of see the effect on the ellipticity of the surrounding galaxies. If you want to try it yourself, I’ve posted the code here. If you don’t feel like running it yourself, here are all 300 skies from the training set. At last weekend’s Hack Ta Ville event here in Montreal, I joined up with some talented urban planners and web devs to realize Vélobstacles. The idea of the project is to crowd source information on cycling conditions around the city. As with any crowd sourcing project, we were faced with the problem of seeding the site with some data to draw the attention of users to get the ball rolling. Fortunately, we had access to a data set of all reported cycling accidents between 2006-2010. Once we seeded Vélobstacles with this data, the web devs went to town adding features to the site, and I had outlived my usefulness as a data geek. So I decided to play with the accident data a little and produce some visualization. I plotted all the accidents on a map and animated it through time. I also calculated and plotted the monthly accident rate using a moving average. Not surprisingly, the accident rate goes way up in the summer months as Montreal winters are braved on two wheels by only a rarefied few. What is interesting is the mid-summer dip in the accident rate. This dip is notably correlated with Montreal’s much beloved construction holiday – though the causal relationship is unclear. If you have any alternative explanations, or an idea about how to test the construction holiday hypothesis, drop a note in the comments. As always, you can get the code on my github page. As an invasion biologist, the process of spatial spread is at the heart of what I do. When I came across this dataset of Walmart store openings since 1962 I couldn’t help but see it as an invasion front which looks a lot like a biological invasion or (albeit slow) epidemic. The video shows monthly store openings (in red) between 1962 and 2006. You can get the code I wrote for generating this visualization on my github page. If you haven’t yet discovered the competitive machine learning site kaggle.com, please do so now. I’ll wait. Great – so, you checked it out, fell in love and have made it back. I recently downloaded the data for the getting started competition. It consists of 42000 labelled images (28×28) of hand written digits 0-9. 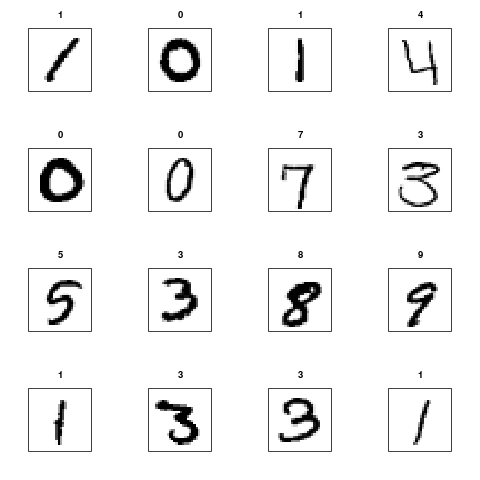 The competition is a straight forward supervised learning problem of OCR (Optical Character Recognition). There are two sample R scripts on the site to get you started. They implement the k-nearest neighbours and Random Forest algorithms. Notice the wobbly looking ‘1’. You can see that there is some variance in the angle of the slant, with a tenancy toward leaning right. I imagine that this is due to the bias toward right handed individuals in the sample. I also wanted to generate a pdf plot of all of the training set, to get myself an idea of what kind of anomalous instances I should expect. If you are interested, dear reader, here is my code to do just that. Which will give you a 2625 page pdf of every character in the training set which you can, um, casually peruse. As of the time of writing, the current leading submission has a classification accuracy of 99.27%. There is no cash for this competition, but the knowledge gained from taking a stab at it is priceless. So give it a shot!